They were both right. Dazies was worth every penny. Dazies Italian Restaurant has been an institution in Sunnyside since time began (it actually opened in 1972), and people tend to flock here from Long Island, the whole of Queens, even Manhattan, celebrating special occasions such as Christenings, birthdays, anniversaries, retirement parties, etc. Decorated in warm brown and cream tones, this place was incredibly inviting, where the staff treats you like family, and where flavors and history run deep, keeping you happy, warm and cozy. Since tonight is my choral rehearsal, I needed a big lunch. I started with the stuffed mushrooms. 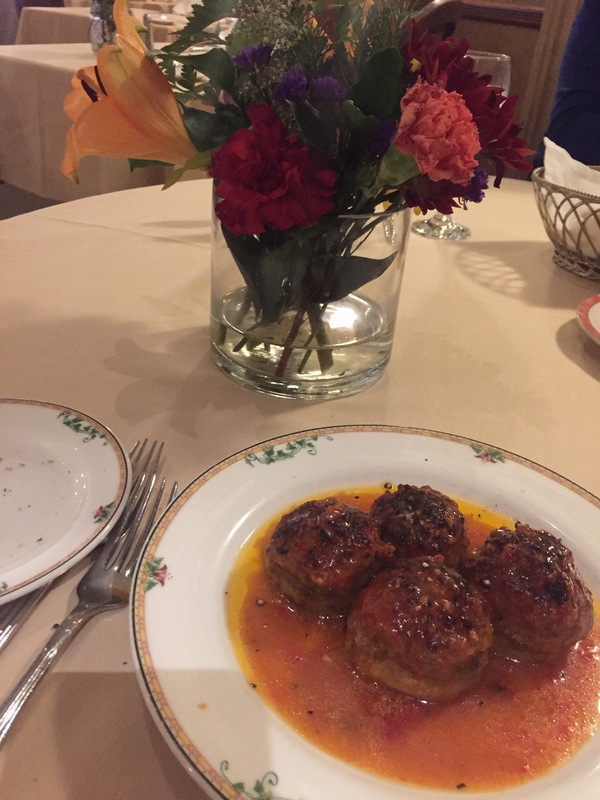 I love mushrooms, but usually this appetizer is often a hit-or-miss…the last time they were served with so much melted mozzarella, the caps were practically drowning in them. However today, much to my delight, the only cheese was a trace of parmesan in the tomato-based bread crumb stuffing, which also contained a fair amount of garlic, black pepper and rosemary, and the tops were broiled, over a simple marinara sauce. It was magnificent. The main course was Chicken Martini, which I never tried out or have heard of previously. (I need to really brush up on my Italian dishes). Anyway, the first bite was heaven. 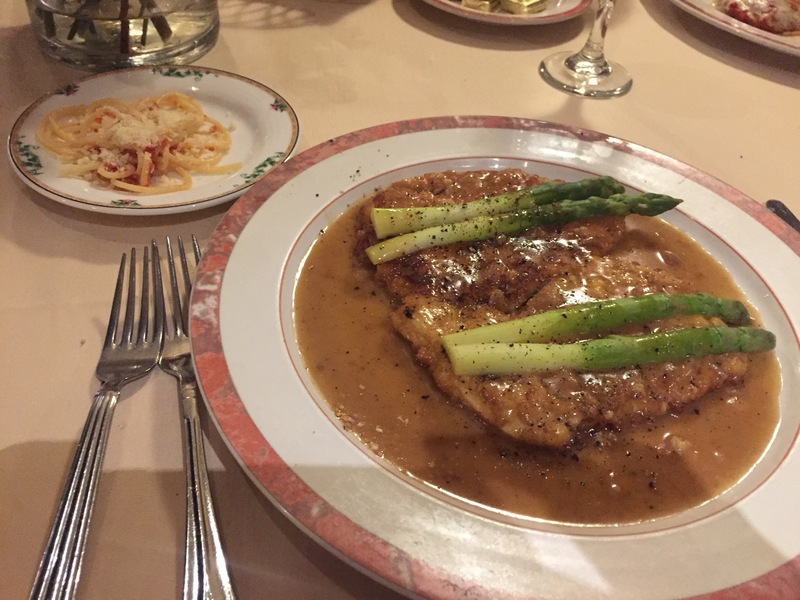 The chicken was succulent, fried lightly in batter (not crispy like Thea’s and Camille’s Parmigiana) and drenched in a sherry-rich sauce, dressed with asparagus. (I also tried some spaghetti from Camille’s plate. It was fine, as pasta should be. The marinara luckily didn’t overpower the noodles). During lunch, Carrie, the waitress/owner? of Dazies talked with Camille. Camille’s cousin is a regular; he comes in at least once a week. After listening to Carrie’s tale about her mom and her untimely recent passing, she offered us a glass of wine on the house. At first, we protested, but she insisted, so we gave in with some very good white and red cabernet. I now feel smooth and easy now. Thea and Camille, you’re the best!